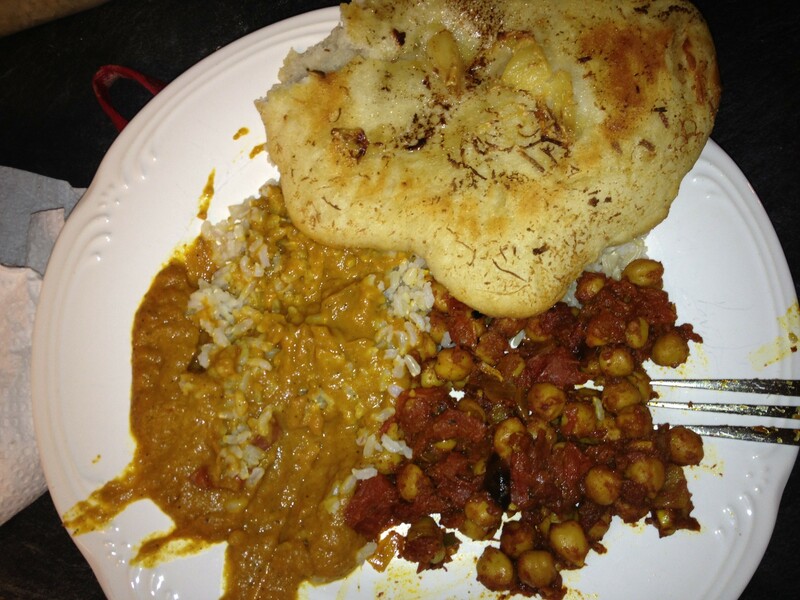 Day8 – Homemade Indian food for dinner. I made ’em extra sloppy for yah. Somerville is a low of 3 degrees today. Kraig and I woke up to frozen pipes in our bathroom this morning. Luckily, the water in our kitchen sink was still working. With a space heater on 99 and keeping the water on low in the bathroom, the pipes finally thawed out after 3-4 hours. Wahoo running water! It’s strange that this happened because we like to keep the heat jacked up in our apartment. On to today’s picture of food. Again. I basically cooked all afternoon following recipes from a food blog to make Roasted Garlic Naan, Baingan Bharta, and Channa Masala for dinner tonight. I made ’em extra sloppys for yah just the way yah like ’em. Day 7 – Street view on a cold day. Day 9. Elderly couple in Davis Square. Love Channa Masala! My mouth is watering just looking at it.